It's easy to Just Click & Create™ with Avery ® Templates in over 100 popular software programs. 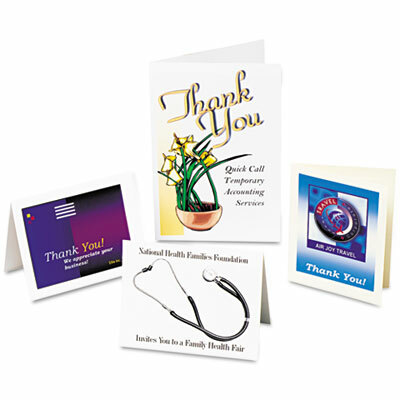 Create custom cards perfect for invitations, announcements and other mailings. Sheets perforated for easy separation. It's easy to Just Click & Create™ with Avery ® Templates in over 100 popular software programs. Coated for vibrant color. Includes coordinating envelopes.